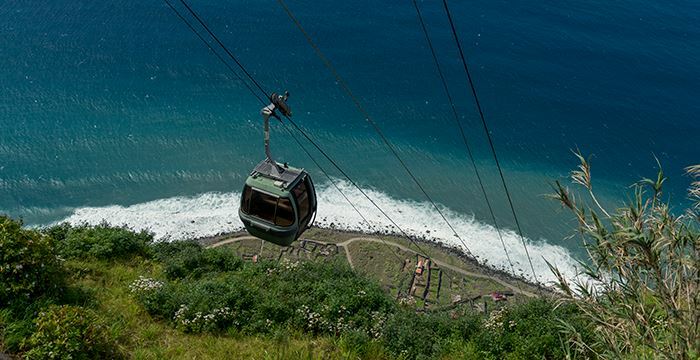 The Achadas da Cruz viewpoint, belonging to the Parish of Porto Moniz, has a cable car service that connects the great viewpoint to the beach. A footpath also zigzags down. However, venturing down the 470m near vertical drop requires a serious condition! The path is a mixture of earth and sand. The cable car is not only for tourist. It mostly serves to bring crops up and to give locals access to their lands and farm / weekend houses down by the beach. We do encourage you to venture down. The cable car trip in itself is worth it. The views are picture postcard perfect. Once in the bottom, walk, stroll or skip along the well-maintained footpath and witness the pure beauty and tranquility of Quebrada Nova and its agricultural fields. But please – do not tell too many people about this north coast gem. Enjoy it. Take in the ocean breeze. Balance on the beach pebbles. Do not leave anything behind except beautiful memories and pictures. There are no facilities in Quebrada Nova, so make sure you used the toilets and bought refreshments in the little snack near the departure platform. For as little as three euros you can call this little paradise yours. 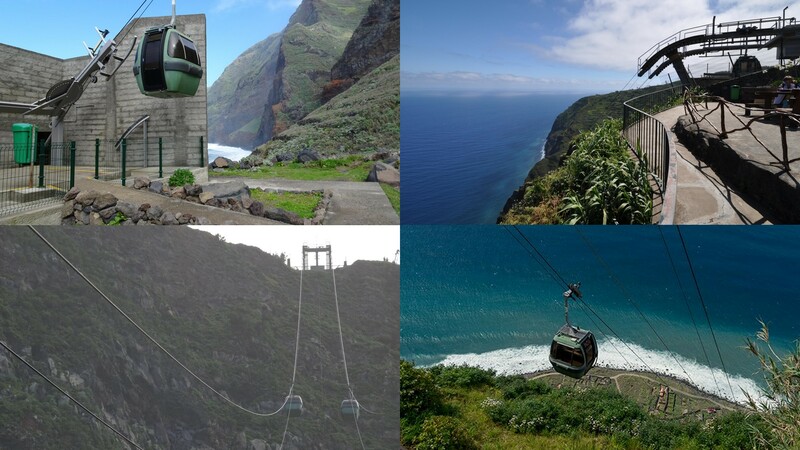 The Cable Car operates everyday between 08am to 12pm and 01pm to 06pm. Due to the very steep descent, do think twice before you step into the cable car if you suffer from vertigo or if you are afraid of heights. 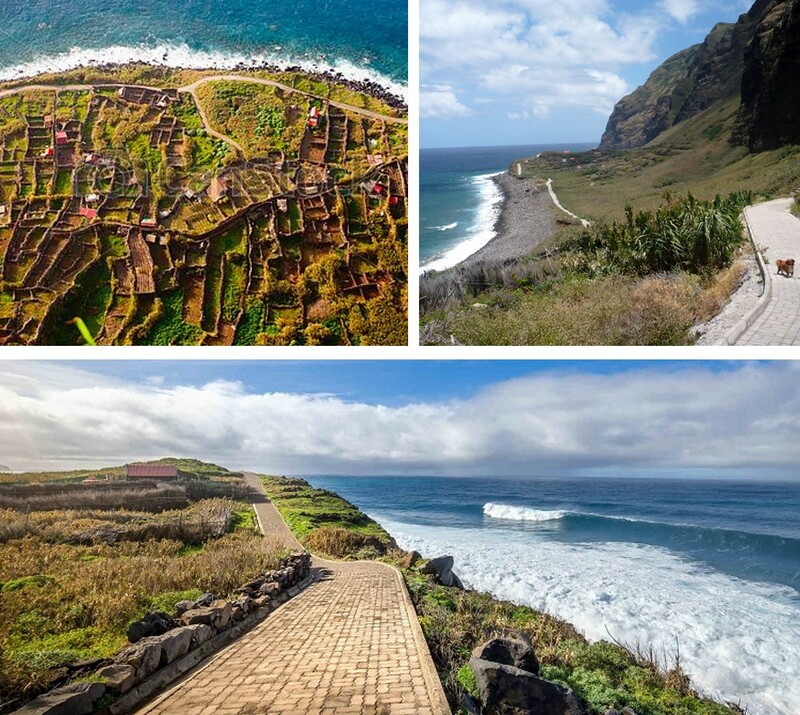 We suggest you come from Sao Vicente then drive to Porto Moniz along Madeira most scenic route. En route, you will path another of Madeira’s gems: Seixal and its wonderful beaches. 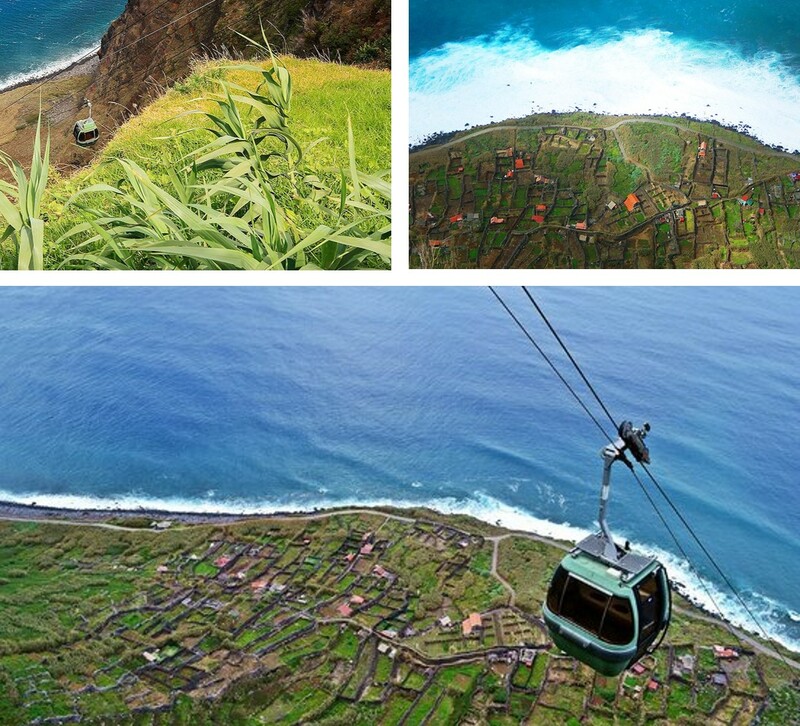 The ride from Porto Moniz to Santa is scenic as you ascend and leave Porto Moniz behind you. Follow the ER 101 through Santa. 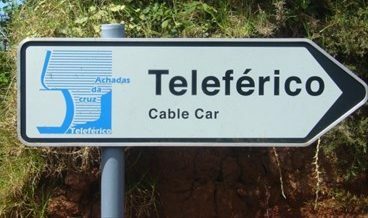 When in Achadas da Cruz, follow the Teleférico signs.